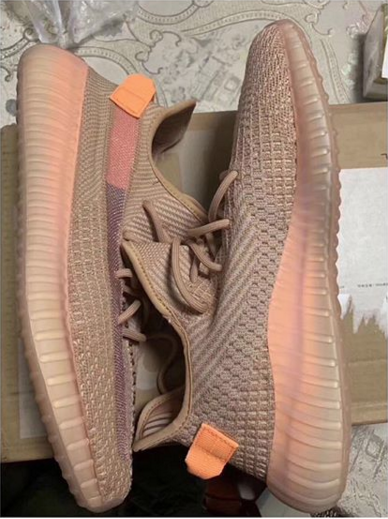 As seen in the latest batch of photos, the Clay Yeezys feature a light brown primeknit upper along with a pinkish orange tint throughout the translucent Boost midsole. Additional details include an orange heel tab and a translucent midfoot stripe that showcases even more of that colorful tint on the inside of the sneaker. 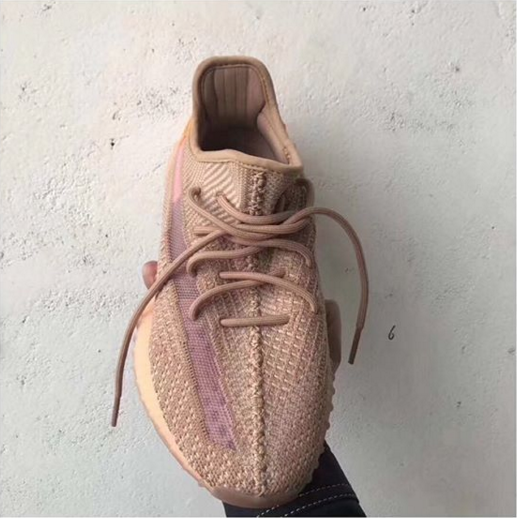 Adidas has not yet announced official release details, but sneaker source @TheYeezyMafia reports that the "Clay" Yeezy Boost 350 V2 will be a "Special Release" available this Spring. Additionally, "Hyperspace" and "True Form" Yeezy Boost 350 V2s are also on tap to drop in the coming months.